Symposium is a pioneer not just in public safety dispatch, but also in alarm monitoring and critical infrastructure protection. For professionals involved in monitoring large areas or installations, seeing what’s happening on scene in real time can be invaluable in dealing with threats and emergencies. The question is however, how do you process and distill the huge amounts of (mostly routine) information made available through traditional CCTV systems? Thanks to Symposium’s integration with the GuardianWatch™ system, personnel engaged in alarm monitoring for fire and security have access to timely, detailed digital video information, without having to monitor endless banks of displays. 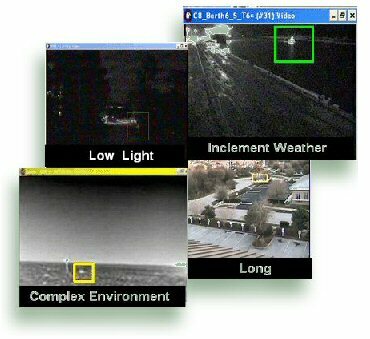 Digital video and CCTV integration are nothing new to Symposium, with municipal camera systems having been integrated into the Horizon EME™ CAD to help public safety clients better monitor particularly difficult incidents such as vehicle fires on busy highways. Now, with the GuardianWatch™ system however, this capability is brought to a whole new level. Provided by Guardian Solutions, GuardianWatch™ offers an intelligent software-based video system that can recognize and evaluate threats based on user-defined criteria, making it far easier to monitor large sites, and making better use of time, personnel and resources. An example would be for physical intrusion, where the system could be programmed to ignore anything coming into its field of view below a certain size. Once anything human-sized is detected however, a visual and audio alert can be triggered, informing personnel of a potential intrusion. Another example would be with infrared capability, which could be used to better detect heat build-ups past a certain magnitude, with a resulting alert to personnel. The strength of integrating the GuardianWatch™ system into the Horizon EME CAD and alarm monitoring suite is that clients now have access to an even greater set of sensors for detecting in-field incidents and events in real time, as well as a more comprehensive and complete incident response solution. With this new system, clients have the full range of detection and response capabilities in one package. Not only can they better see what’s happening in real time, but the CAD itself enables them to respond better by helping decide who to send, and what resources and SOP’s are appropriate to the task. Going forward, critical infrastructure protection and security will continue to grow as one of Symposium’s core business areas, something which fits very well with the company’s traditional emphasis on public safety and emergency management. With the integration of GuardianWatch™, we are in an even better position to provide value to clients in these areas by enabling them to make the best, most appropriate and intelligent use of all their informational assets, in ways that make the most sense for their needs and mandate.